Your Bicentennial reading assignment? 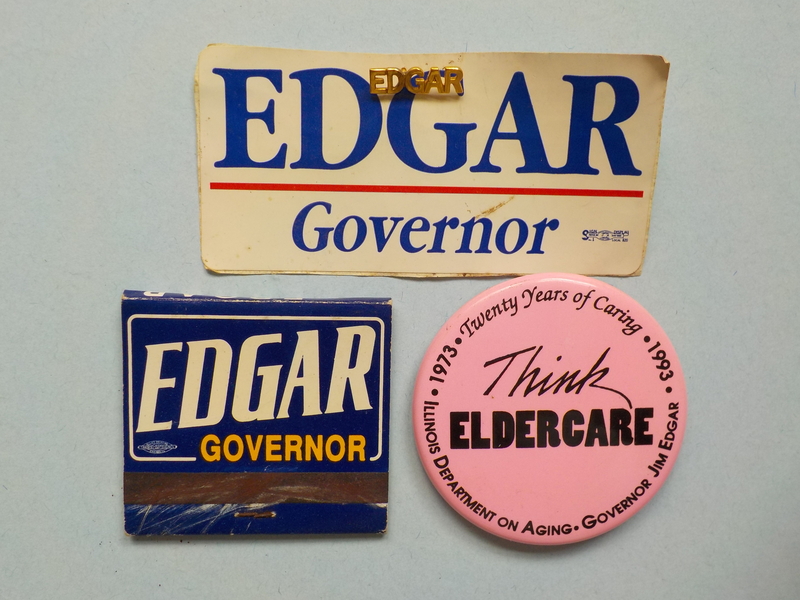 “Illinois Governors: Mostly Good and Competent” by Robert Howard, updated by Taylor Pensoneau & Peggy Boyer Long. I can add little. 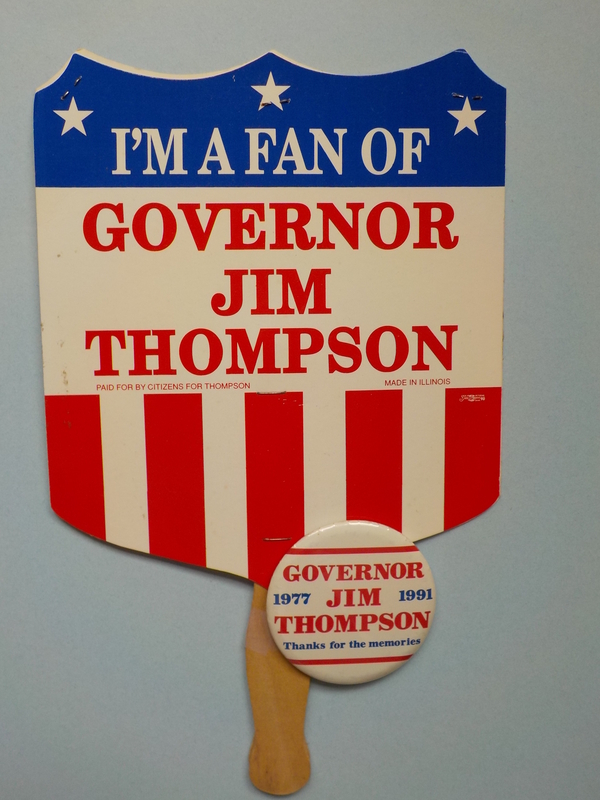 After reading “Illinois Governors”, you’ll no doubt share this author’s admiration for Governors Edward Dunne, John Peter Altgeld and Henry Horner. “Mostly Good and Competent” may be overstating it for the rest of them. Frank Lowden presided over the 1918 Illinois Centennial. 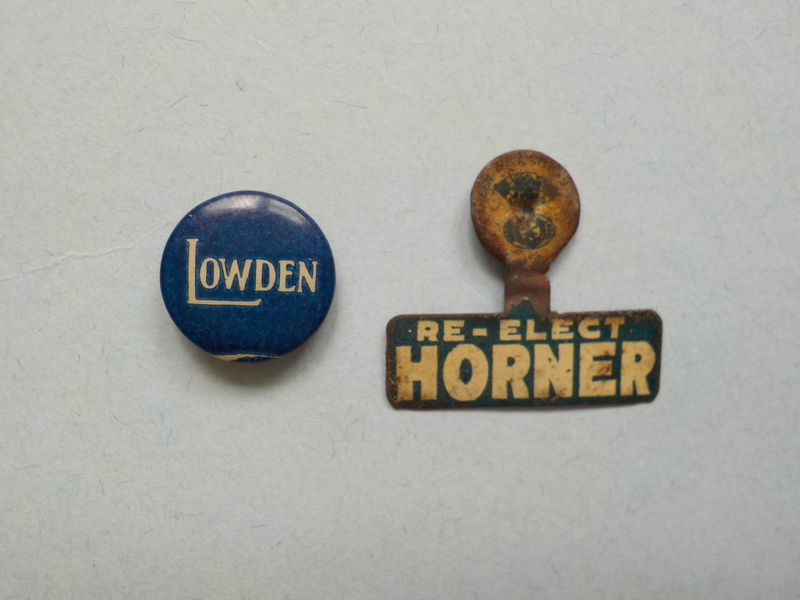 One of several Guvs with famous fathers-in-law (George Pullman), Lowden backed women’s suffrage and dipped his toes in Presidential waters twice. NIU’s Lowden Hall is named for him; 50 years ago African-American students staged a sit-in there. Henry Horner - recalled today for the sprawling, now-demolished CHA compound near the United Center - was our first Jewish Governor (and a collector of Lincoln memorabilia!) 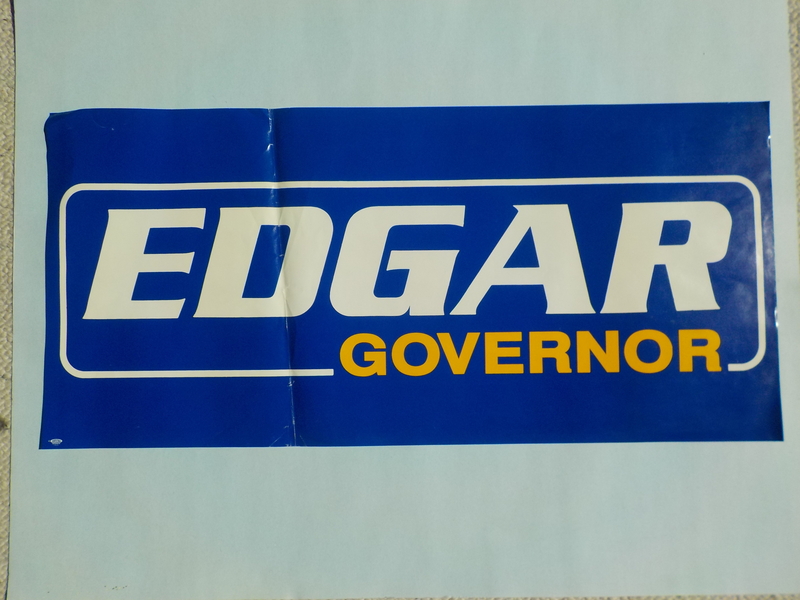 He was a Depression-era Progressive (and “wet”) who fought the Kelly-Nash Machine and pushed for a higher sales tax. 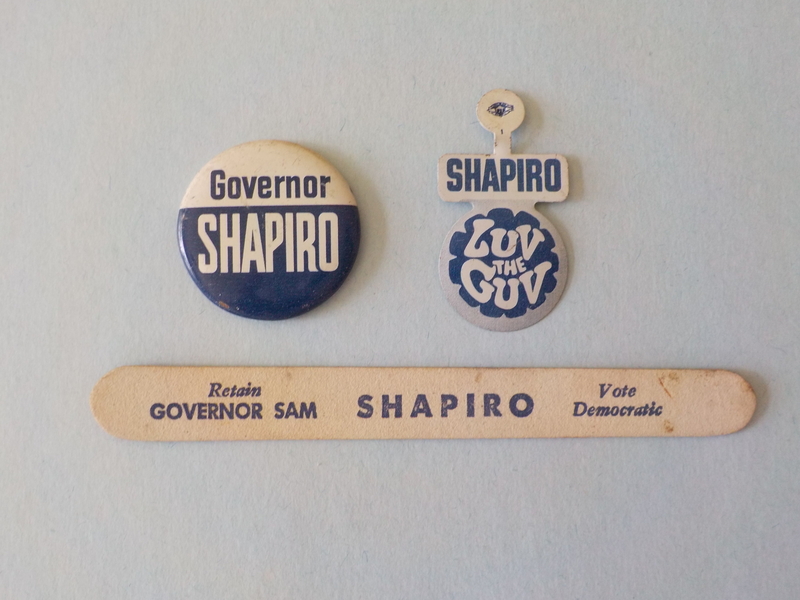 The USA’s first Estonian-born Governor, Sam Shapiro had a parallel path to the Mansion as fellow Kankakeean George Ryan: local politics, Illinois House, Lieutenant Governor. He filled-out Gov. Kerner’s term when LBJ put Otto on the bench. 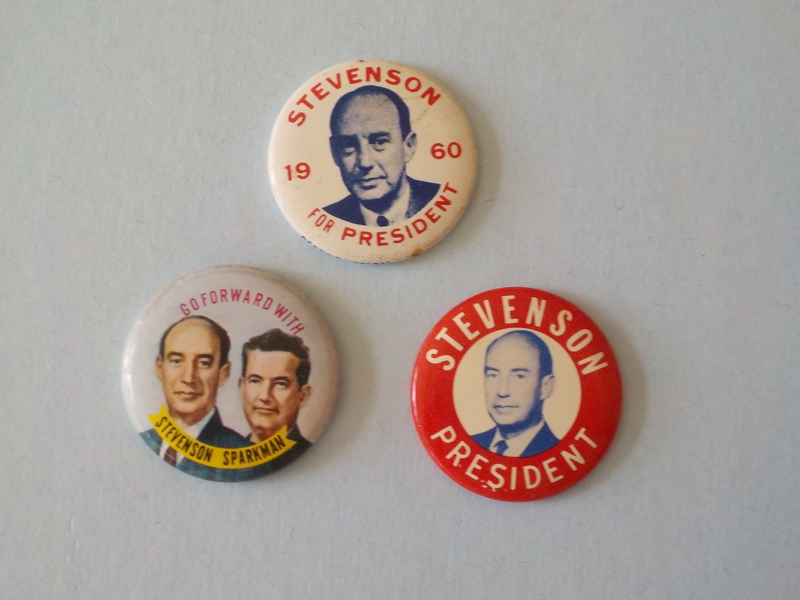 1968 was a tough year for Dems, especially incumbents. Despite his groovy appeal to “flower power”, Sam lost to Ogilvie by a hair. 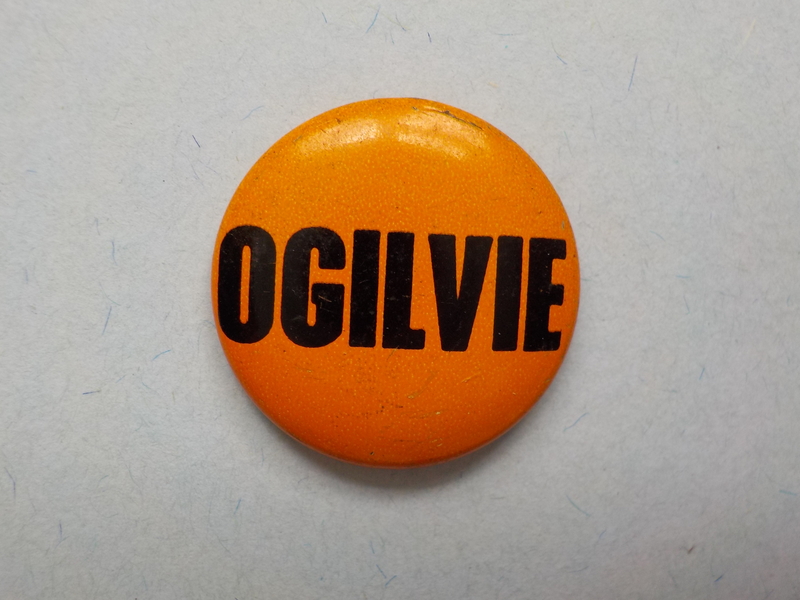 Oddly, Ogilvie’s running-mate (Dwyer?) 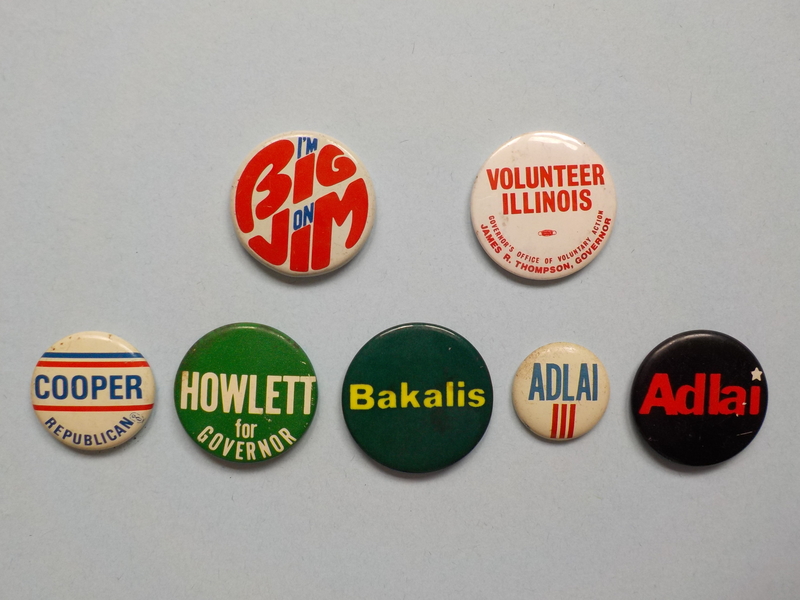 lost by a hair to Paul Simon, the only time in Illinois history the two top spots were held by different parties. 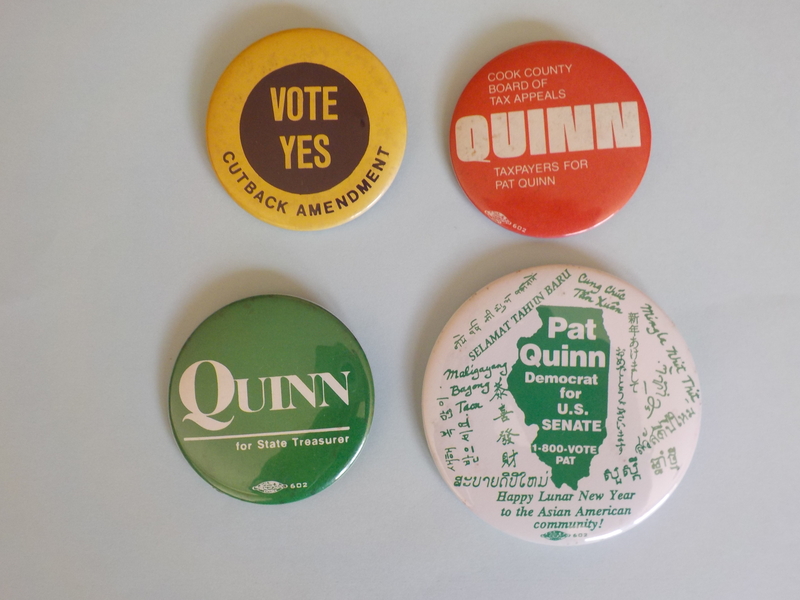 Pat Quinn has had nothing named for him, but will in time. 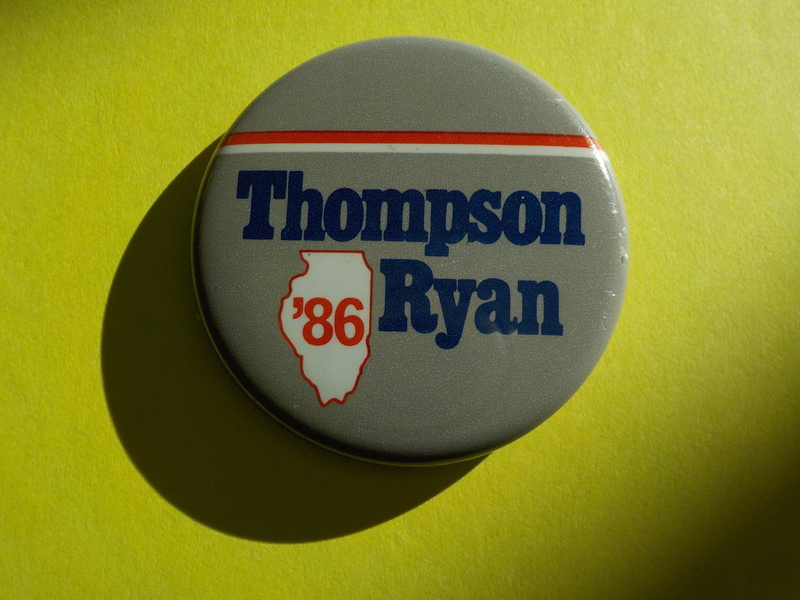 (FULL DISCLOSURE: This Quinn Lunar New Year button was originally designed by this author for the ‘94 SOS race.) For more on Quinn see Gallery #20 (The Quinn Bin).